Video 1080p - Delicious. spicy curry. 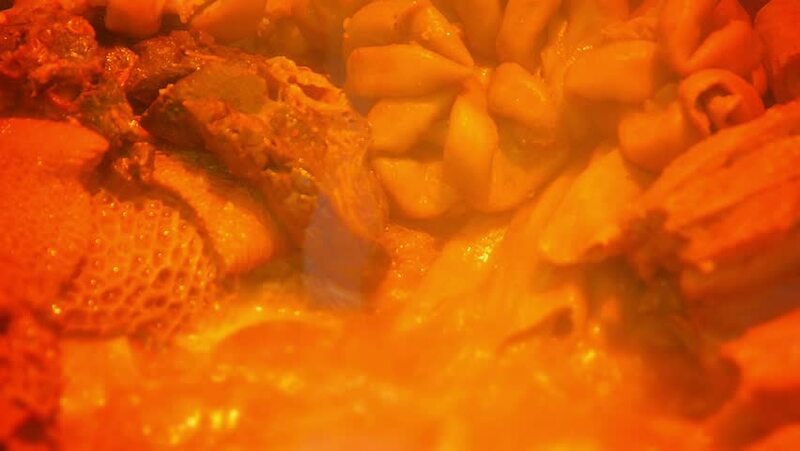 bubbling and simmering in a pot as it cooks in a street food vendors stand in Asia. 4k00:08Animated realistic wave of fire against transparent background. Alpha channel embedded with 4k PNG file.